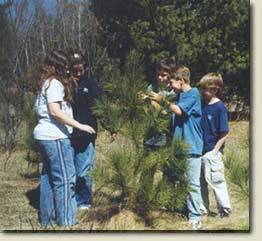 Michigan Forests Forever, a 23 minute award winning video and or the Michigan Forests Forever Interactive Forestry Tour a CD designed specially for kids, may be available upon request. Alpena Hardboard Foresters have been working with elementary school teachers for 14 years speaking to 5th grade classes about forestry for Earth Day celebrations in April. Please contact us if you are interested in a foresters presentation.